Everybody needs at least one cup of coffee a day, right? Or maybe more? You coffee-obsessed residents of the Commonwealth know that it doesn't really matter how hot it gets outside, a good cup of coffee or two are necessary every day. 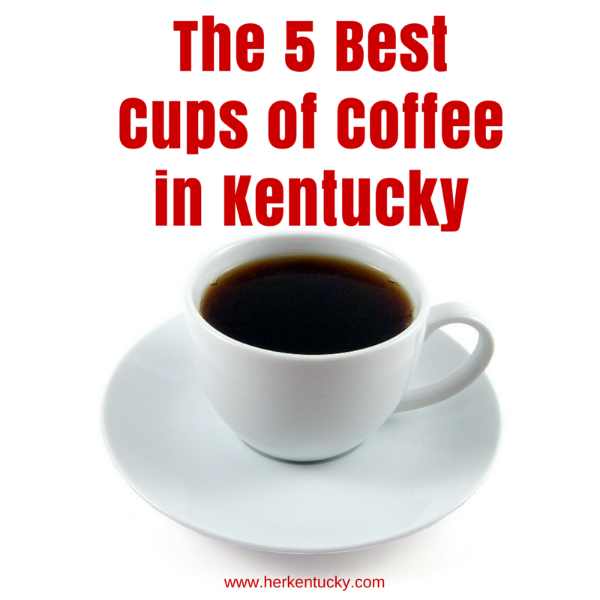 Here are the best we've found in the Bluegrass State. Best espresso drink: Sunergos cappuccino from Atlantic No. 5. A locally brewed roast served up with perfectly steamed, milk, you're in luck, but make sure you can handle big flavors and a serious caffeine jolt. This isn't for amateurs. Best French press: Ghyslain. I'm really into French presses and pour-overs these days. You get so much more flavor from the coffee oils and packs a powerful punch. My favorite is the dark roast French press from Ghyslain, the fabulous bistro with two Louisville locations. Best cup of drip: (tie) Coffee Times. I adore the artisanal blends from this Lexington coffee shop. The blends are smooth, subtle, and inviting. You'll always see somebody you know. You'll love it, I promise. Lizzie B's: Glory be! I can finally get a great cup of coffee when I visit my hometown. Prestonsburg's favorite cafe serves up an amazing cup of drip. Don't miss out! Best Newcomer: Paducah Coffee Company roast at Piper's Tea & Coffee. I don't know if y'all have heard, but HerKentucky contributor Sarah Stewart Holland is shouting from the rooftops that Paducah is Having a Moment. Everywhere you look, there's artisans and renovations and locally made products. Sarah suggests the Turkish Coffee at Piper's, in the fabulous Coke Plant building. Where do y'all get your favorite caffeine fix?